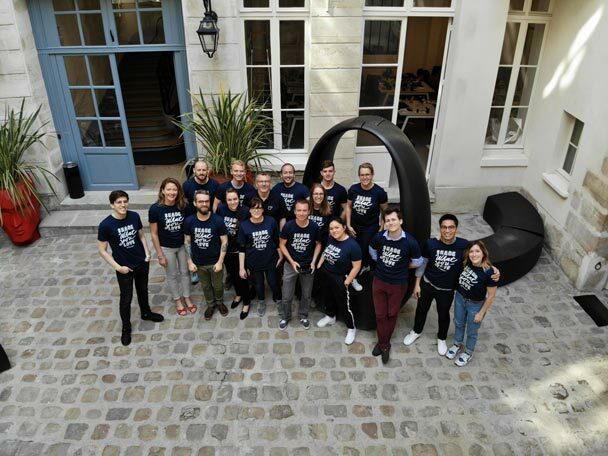 After several years near the Place de la Republique, Sociabble, the leading provider of employee advocacy solutions, has moved our Paris Headquarters to Rue Chapon. 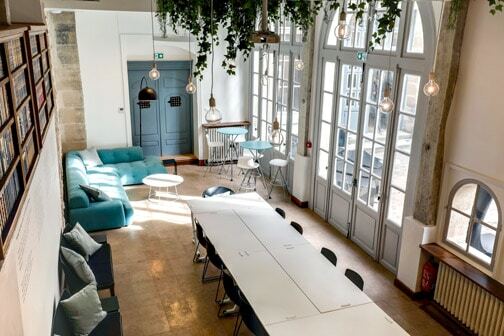 Just a stone’s throw from Beaubourg, the new offices are located within a fully renovated publishing house; filled with history and old world charm (the building is 360 years old)! 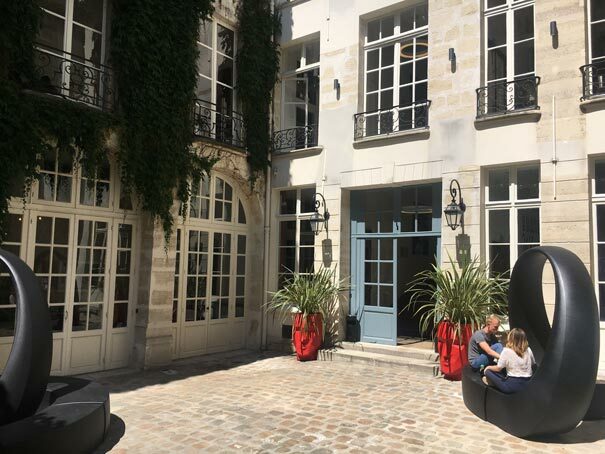 For our Paris teams, it is the opportunity to work in an open space, in the heart of Paris, while enjoying extraordinary common areas such as two stunning terraces. 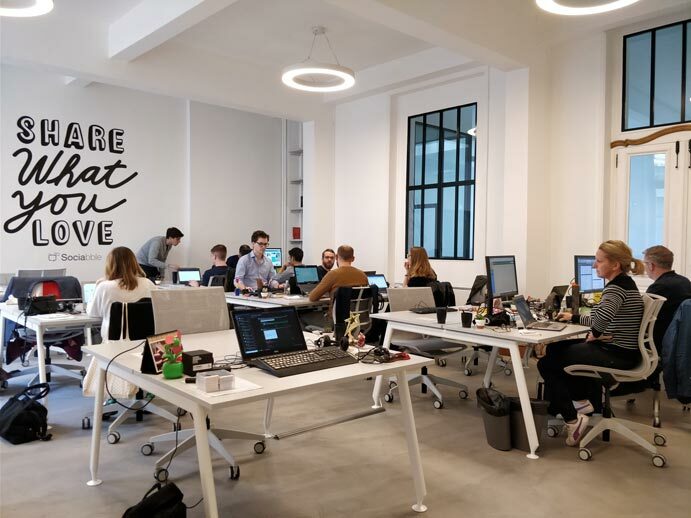 While happiness at work is not limited to the offices, it is sure that a spacious, bright, and open space plays a vital role in creating an upbeat working environment; especially one which facilitates exchange and collaborative work. The atmosphere is at once productive, Zen, and relaxed, thanks in part to our new (and amazing) neighbors: Gympass, Arcane, Early Metrics, and Unow. Staying in the heart of Paris was essential for us. This district is steeped in history; bringing great technology companies, small and large businesses, as well as schools together. It is a mirror image of what we are trying to build at Sociabble: pragmatic digital solutions, that are human-based, respectful of privacy, and accessible to all, not just an elite few. The laughter of neighborhood children is grounding and reminds us of these values. In recent weeks we have had the joy of inaugurating our news offices with our customers and our ecosystem; the partners, investors, and support – without whom this adventure would not have been possible. Sociabble is a global company with offices in Paris, Lyon, New York, London, and Mumbai. Used in more than 80 countries, we enable employees to become better informed about what is happening in their business and workplace. We help them engage in creating and sharing content which are also approved across their personal social networks. We pride ourselves on building a solid framework of employee advocacy programs in an interactive environment (mobile and web app); that is both gamified and secure, and allows companies to adhere to compliance regulations and measure their return on investment. This is just the beginning of a great adventure. Our new offices highlight our ambition and our values. Developing a global business with high growth is difficult, and we must remain humble and pragmatic. We must listen and learn from everyone before speaking. Nearly 25 years ago Laurent Gauthier, our Product teams leader, and I created and developed our first digital company in this very neighborhood. We started from scratch, no financial means, and built it into one of the leading service providers of French e-commerce. We strive to keep the competitiveness and the importance of learning to do more with less; and especially preserve the decisive role of having competent teams, who are committed, low-profile, caring, versatile, pragmatic, friendly, and driven by the same passion and values, in place. 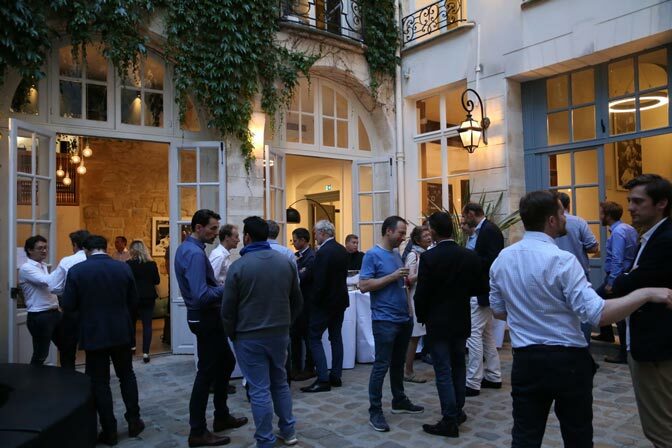 In Paris and across the globe, our teams are ready and are well on their way to becoming global leaders. Jean-Louis Bénard is the founder and CEO of Sociabble. In addition to these roles he is also co-founder and Chairman of Brainsonic, "The Engagement Agency", a full service digital agency dedicated to engaging audiences. In 1994, he co-founded the FRA digital agency, which was sold to Digitas in 2001.